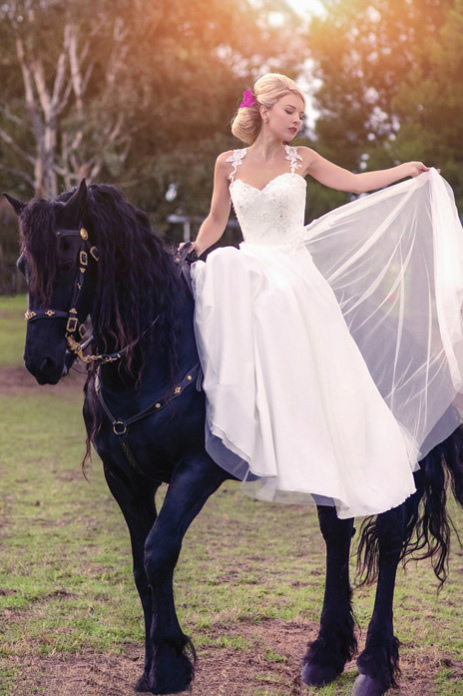 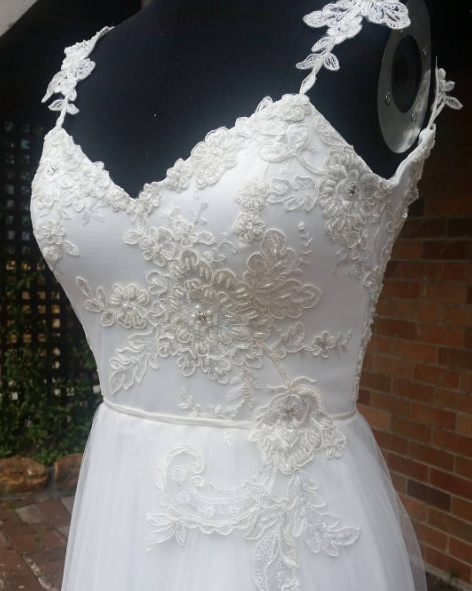 The gorgeous ‘Seahorse’ wedding dress by Sarah Joseph has a beaded lace bodice and detailed straps. 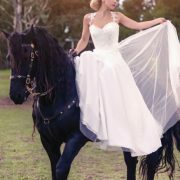 The floaty tulle skirt and side motif give this gown a romantic feel. 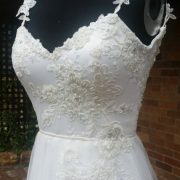 Signature Sarah joseph corsetry also in the bodice of this gown with an elegant sweet heart neckline.